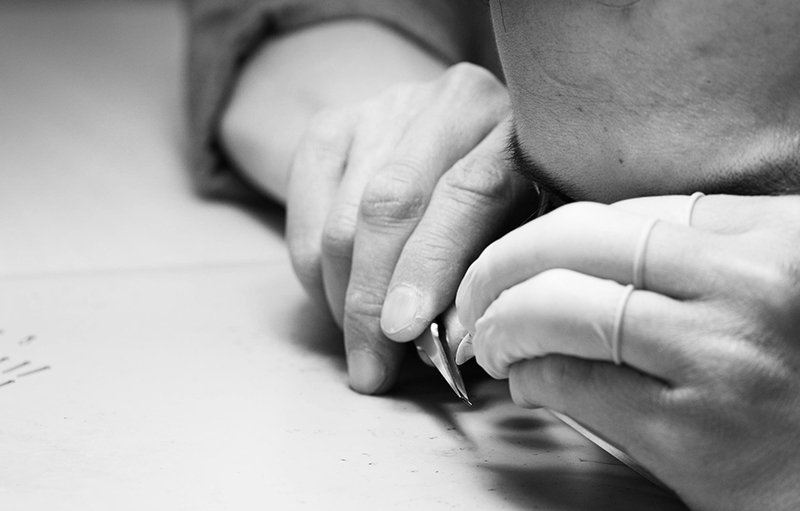 In essence what we are passionate about is making the best watch that we can. The "Sword" hands, as they have come to be known, were actually a part that started our business back in 2001 before it was called Mk II and known as that guy "Yao". Ever since we have been fixated on making better and better versions every chance the opportunity presents itself. That means continuously seeking out new craftsmen and new vendors. This is harder than it would appear on the surface since the best have no need to advertise and very seldom have need for new customers. So often times they are obscured from plain view or you have to take a chance on an unproven vendor, person, or process. Our latest experiment, far from a sure thing, is to try to marry two key qualities that we have eluded us or at least keep us from using more than 1 out of 5 hands (on a good day) that we purchase. The ideal for us is a hand that is curved as well as featuring strong, smooth lume. The later is desirable for obvious reasons. The former because this profile adds depth and richness to a watch while making the hand easier to read at more angles. Even large companies have a very difficult time achieving this combination. If you are the Swatch Group you call on a company called Universo, conveniently a subsidiary, whose quality is famous, which is the reason you bough them in the first place. 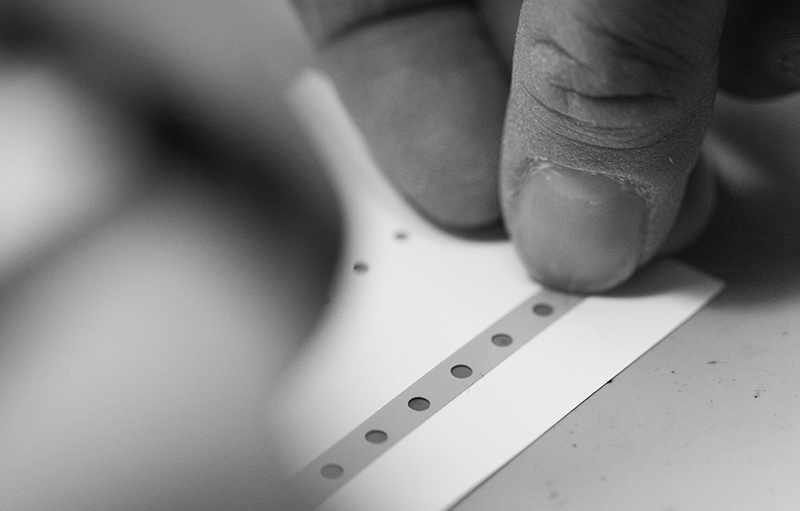 For small companies like ours we have had to become much more resourceful about the process. So here we are....we have purchased hands, un-lumed, from one company that makes beautiful "diamond cut" hands but somehow lacks the skill set to lume them to our standards. We developed some packaging for the hands to travel on. (This stuff is available in Switzerland but we had to have dies made locally so that we could have them available whenever required.) We have inspected and prepped the hands to be shipped off to a group of craftsmen, specialists in the application and manipulation of luminous material, that we found. Without a doubt this will be expensive if it works and even if it doesn't. We undertake these kinds of trials and experiments every chance that we get and most times they are just a write-off for the accountant. However if you want to be more than you are today this is what you do.